StarCapture Enterprise is an Enterprise Document & Data Capture platform that converts paper to digital documents, improves and transforms source documents, extracts metadata and exports the documents to new or existing systems. 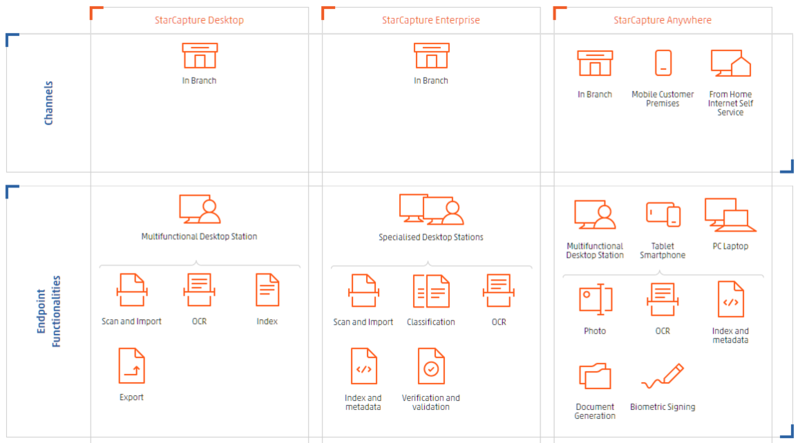 StarCapture Enterprise is an advanced document imaging workflows platform for enterprise processing centers in centralized, distributed or mixed scenarios for scanning, image processing, OCR, data correction and validation, EAI integration and export of captured data. The solution is based on Artificial Intelligence principles - it can process documents and data in the same way that the human brain would, only faster and in much greater volume, eliminating the need for manual work. StarCapture Enterprise offers machine learning capabilities that help accelerate the time to production and reduce the cost of support and maintenance. Other unique features like plug-in support, unlimited levels for document tree, etc. StarCapture Enterprise enables organizations to act and adapt to market needs by getting information from paper, quickly and accurately. Apply automatic metadata validation to enforce business regulations.